Thursday, June 14, 2018, 6:30 – 8:30 p.m. 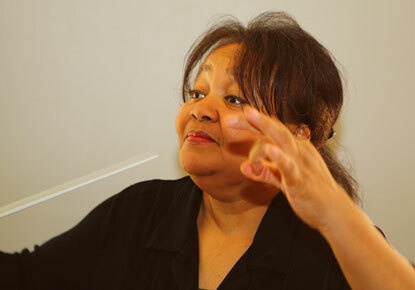 Check out a unique music program featuring film scores by award-winning African American composer Renee' Baker. Check out a unique music program featuring film scores by award-winning composer Renee' Baker. The night will feature scores for “Body and Soul” (1925) by Oscar Micheaux and the Baker’s film “Dinner: Race, Greed, Abuse and the Priority of Social Justice” (2017). As an artist with a vision of racial unity, Baker’s music brings people together. Her wide-ranging portfolio covers films from the 1920s to the present, rescored with her original music. As the director of Chicago Modern Orchestra Project music, Renee' moves fluidly through narrative and experimental films. She unites aficionados of classical and avant garde music, early film lovers, and people who want to see and hear more inclusivity in cinema and music. Along the way, Baker welcomes in new audiences by inspiring us to have new and more compelling conversations about how we can challenge stereotypes while writing people of color and women into histories that often excluded them.